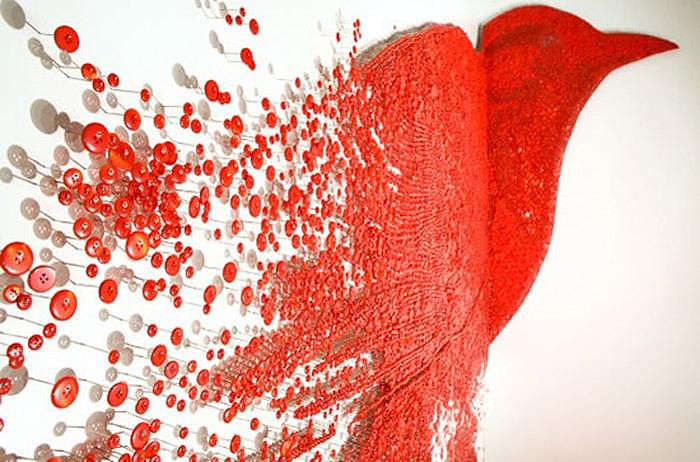 HomeBlogArtButtons and Pins Art Installations by Ran Hwang. 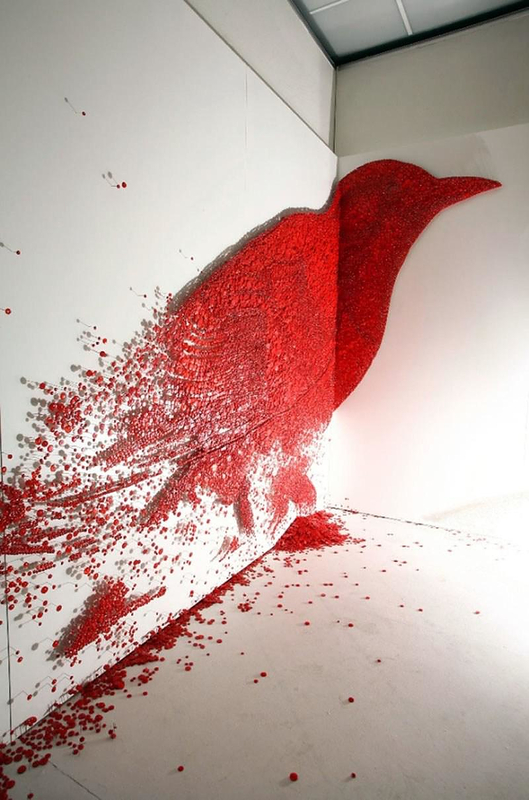 Korean born and New York based artist Ran Hwang creates stunning and unmistakably poetic art installations, using pins and buttons. 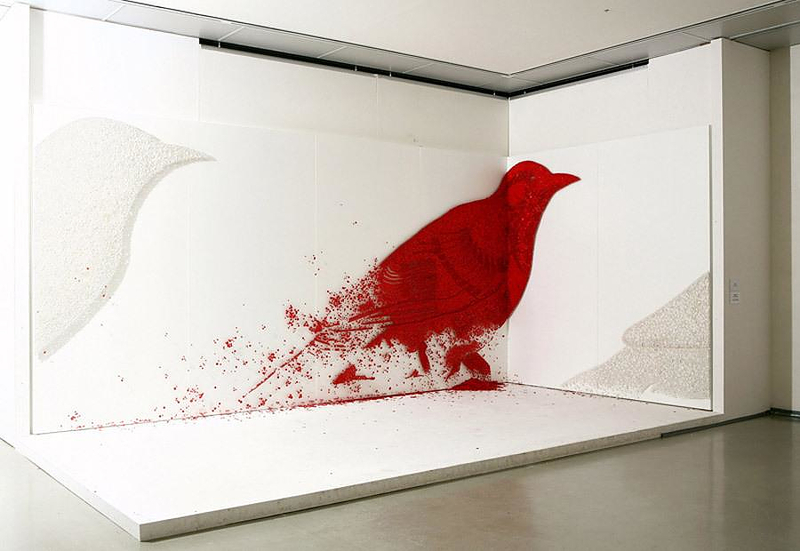 Most people use ordinary pins and buttons to stitch up clothes, instead of that Ran Hwang uses these humble materials to create amazing art installations of birds and blossomed trees. The buttons are pinned directly onto the wall and each button is used in the same manner as pixels on screens, many small elements creating the whole. 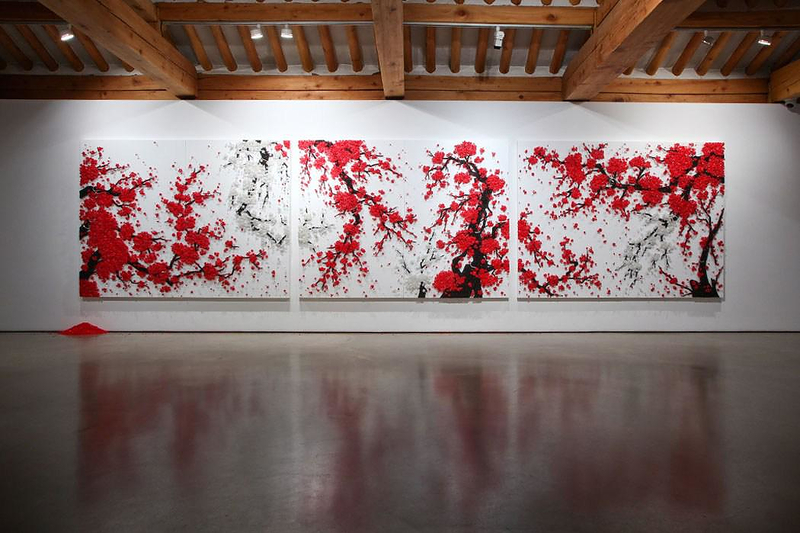 Hwang’s inspirations stems from Buddhist theories and Zen practices. 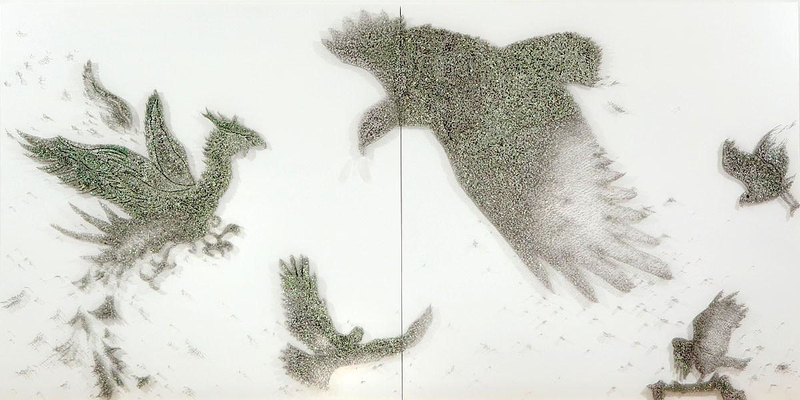 For this reason they commonly portray animals and trees, while they also emit a soothing aura. 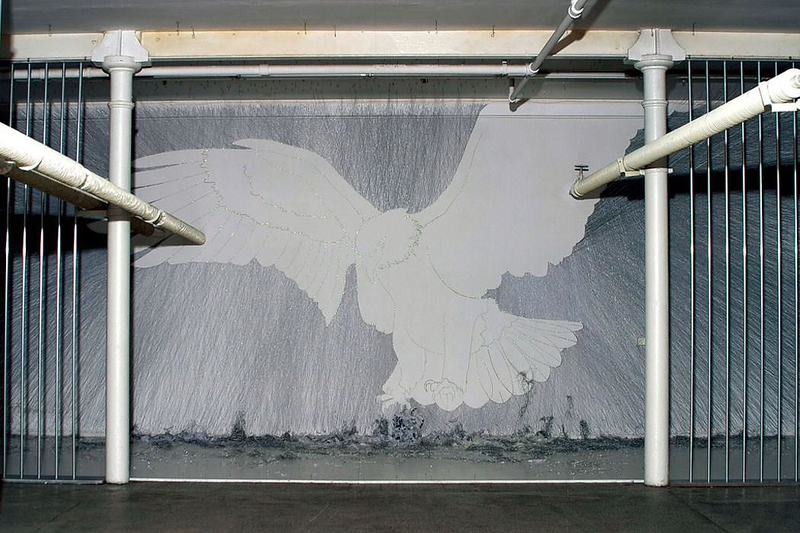 According to the artist the process of creating her unique artworks is also a meditative practice that helps her find inner peace. 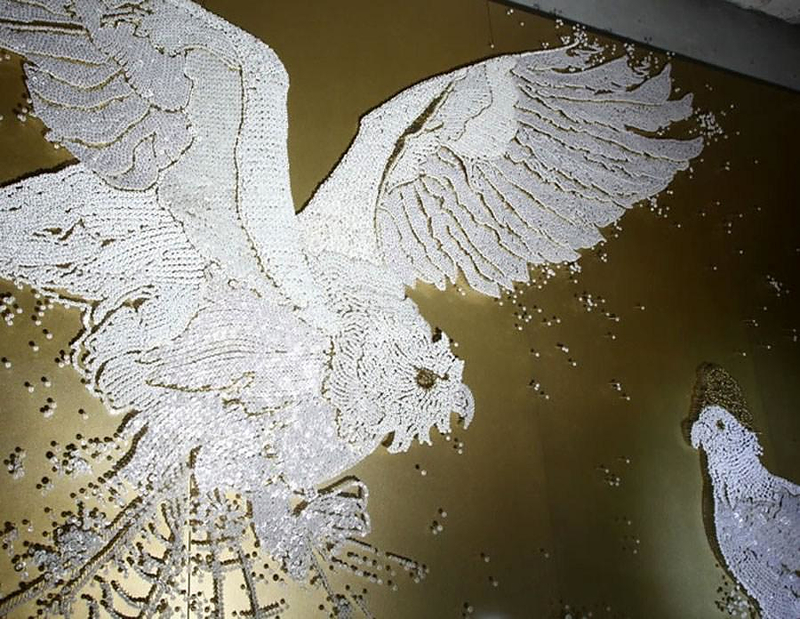 “By hammering thousands of pins onto a wall, I discover significance of existence. Like the monks practicing Zen facing the wall, my work is a form of performance that leads to finding oneself.” We definitely agree that creating something so beautiful with such resilience has got to be a fulfilling experience. 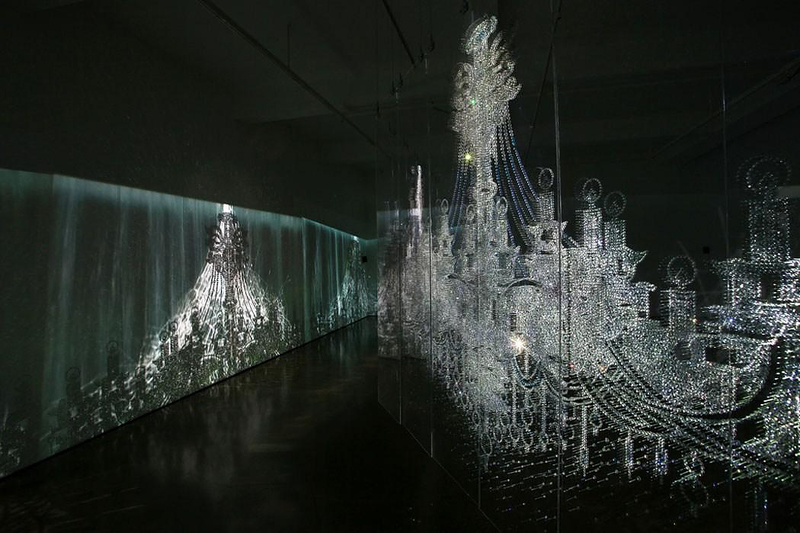 When the viewer looks at Hwang’s creations up close, the amount of individual elements-buttons is somewhat overwhelming, but from afar, her installations transform into one breathtaking sight. 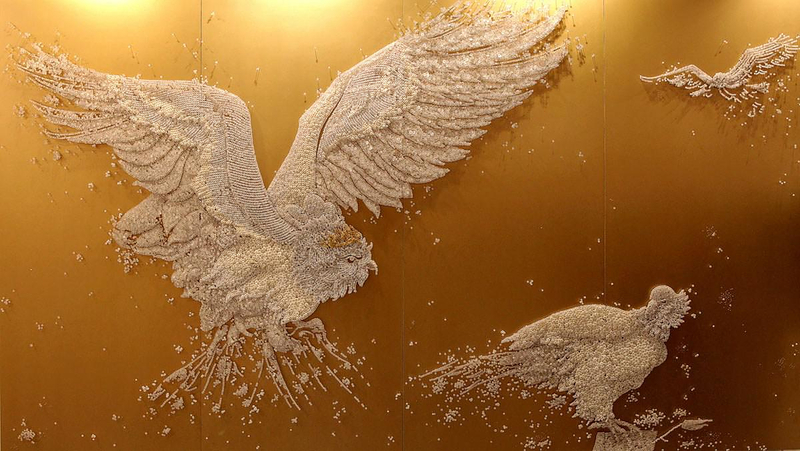 “I create large icons such as a Buddha or a traditional vase, using materials from the fashion industry. 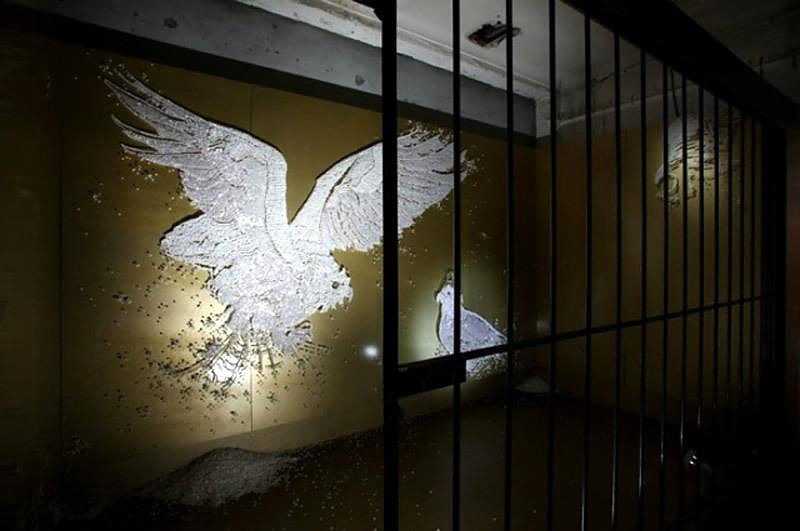 The process of building large installations are time consuming and repetitive and it requires manual effort which provides a form of self-meditation. I hammer thousands of pins into a wall like a monk who, facing the wall, practices Zen. My works are divided into two groups. In the first, pins are used to hold buttons remain free to move and suggest the genetic human tendency to be irresolute. I choose buttons, which are as common and ordinary as human beings. In the second group of works, a massive number of pins connect yards of thread creating a negative space of the presented images, threads suggesting connections between human beings and a communication network between seemingly unlinked human experiences. 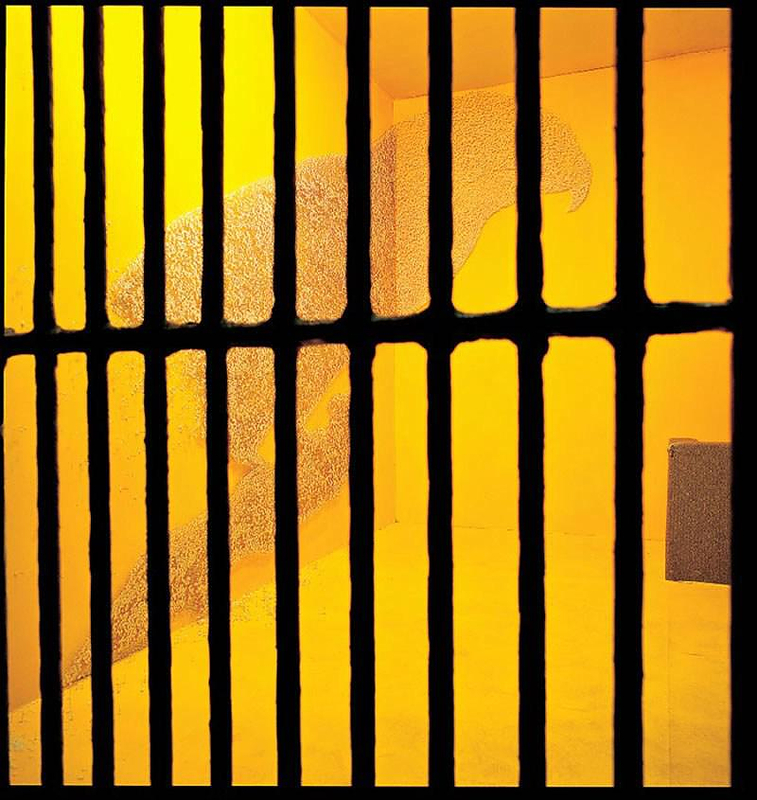 The filled negative space in the absence of the positive space suggests mortality at the heart of self-recognition”. 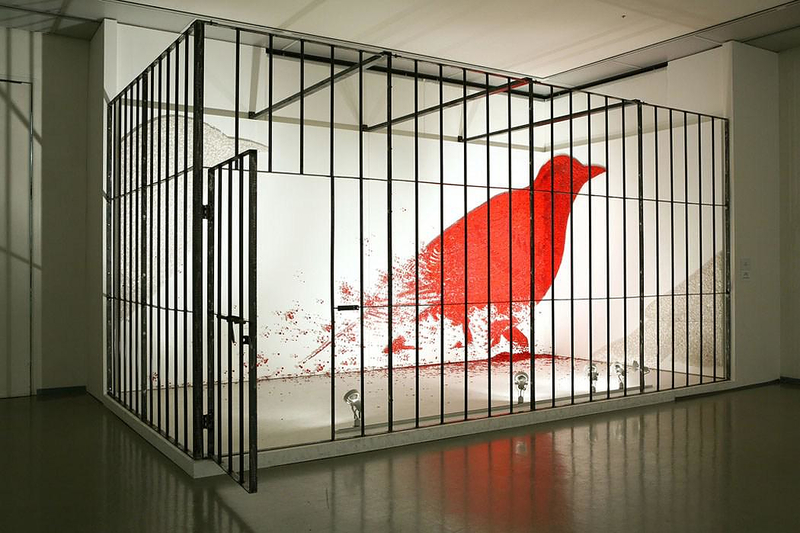 Ran Hwang has graduated from the School of Visual Arts in NYC and her work has been repeatedly exhibited in many galleries mainly in New York, Paris and Seoul.